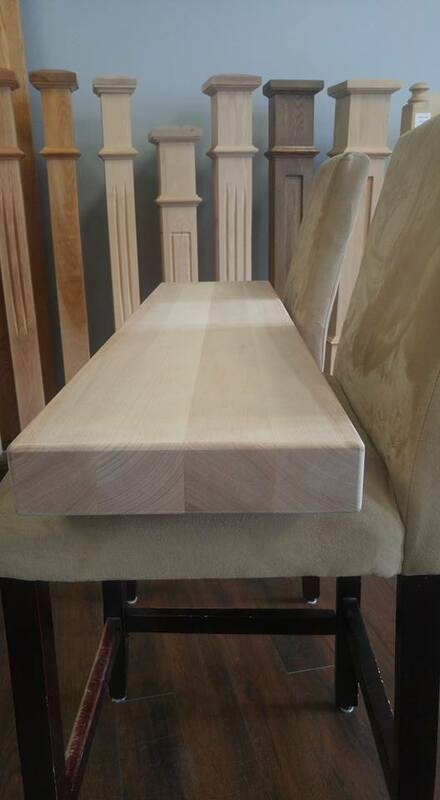 ﻿ Custom Stair Treads | Scotia Stairs Ltd.
Each of these can be manufactured in many exotic wood types. We also make D4S Lumber and much more. Simply email us and include your custom stair tread or millwork request and we will gladly reply with a quote for you! We can manufacture stair treads at a custom thickness to meet your job site needs. We can make stair treads from 1-1/4 inches thick all the way up to 4 inches thick. Our custom extra thick stair treads are made from only the best solid hardwood lumber. 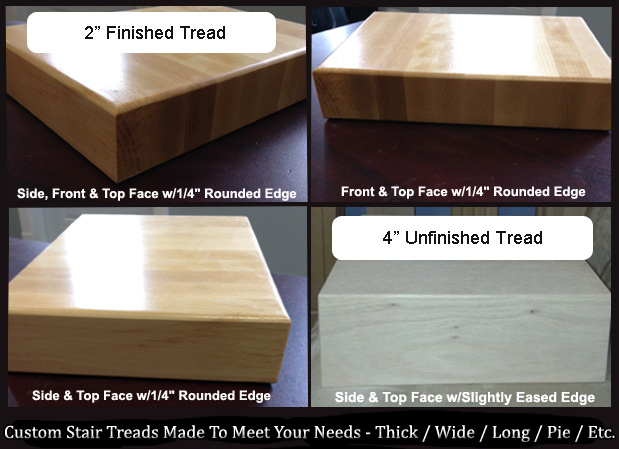 >> For More Info On Extra Thick Stair Treads: click here to go to our detailed web page. We can manufacture extra long stair treads out of many hardwood types to meet your job site needs. We can make extra long stair treads from 72 inches ( 5 ft. ) all the up to 144 inches ( 12 ft. ). 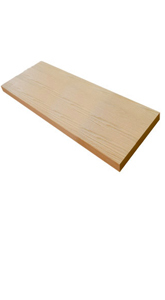 Our custom extra long stair treads are made from only the best solid hardwood lumber. We can manufacture stair treads at a custom width to meet your job site needs. We can make stair treads from 11-1/2 inches wide, all the way up to 24 inches wide. our custom extra wide stair treads are made from only the best solid hardwood lumber. We can manufacture stair treads out of many exotic hardwood types to meet your job site needs. Our custom exotic hardwood stair treads are made from only the best solid hardwood lumber. We can make stair treads in these exotic hardwoods: american cherry, ash, jatoba (brazilian cherry), walnut, white oak, etc. (note: if you don’t see the hardwood type you are seeking… simply ask us, the changes are good that we can do it!). We can manufacture pie shaped stair treads, for curved staircases, out of many hardwood types to meet your job site needs. We can make pie shaped stair treads from 6 inches wide on one side, all the way up to 24 inches wide on the other side x the length you desire. 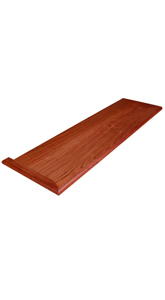 Our custom pie stair treads are made from only the best solid hardwood lumber.